While you’re preparing for the melee that is the Barney’s Semi-Annual Warehouse Sale next week, you can get started in a more relaxed environment. 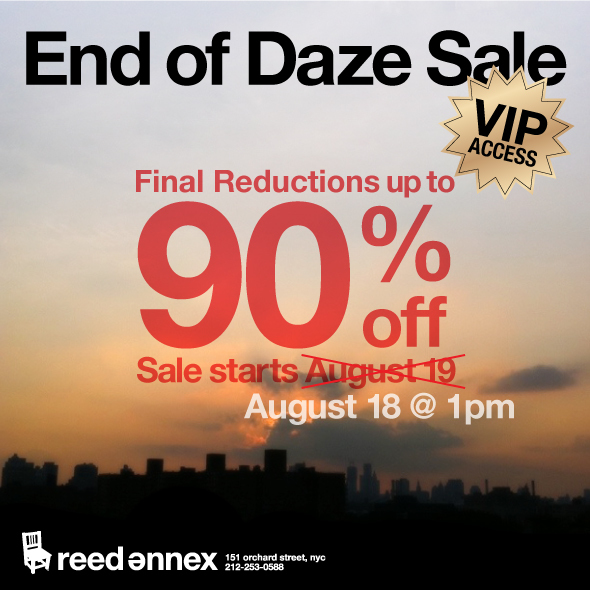 Starting tomorrow (today was the “friends and family” sale) you can hit up the Reed Space Annex for up to 90% everything there. Be prepared. 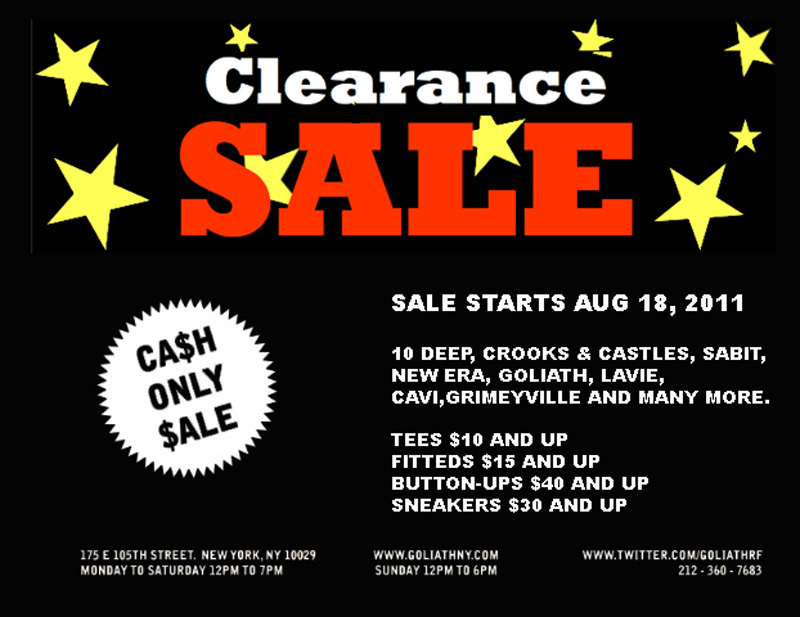 The Goliath sale is CASH ONLY. This entry was posted on Thursday, August 18th, 2011 at 8:00 pm	and is filed under SALES AND PROMOTIONS. You can follow any responses to this entry through the RSS 2.0 feed. Both comments and pings are currently closed.